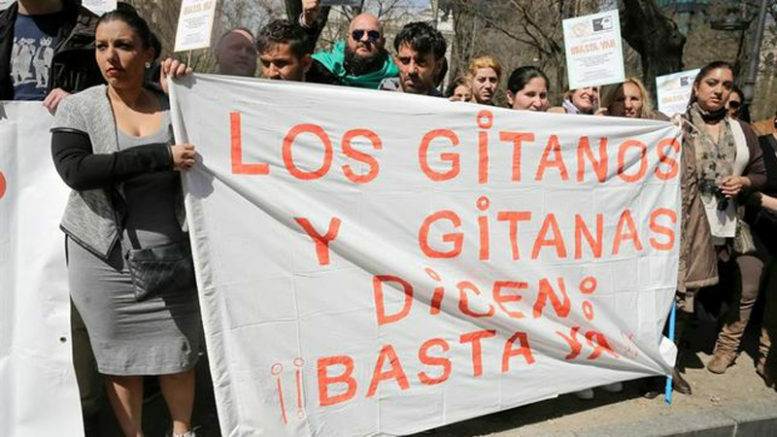 Longstanding anti-Roma sentiment detected in previous years as discriminatory behavior toward Spanish gypsies by businesses, government and social service agencies and in hate-speech in public places has made its way onto the Internet, where monitors from Spain’s Fundación Secretariado Gitano (Gypsy Secretariat Foundation, or FSG) say the sharing of virulent anti-gypsy content is growing and clearly amounts to hate crime, as defined by and punishable under Spanish law. The FSG says it has detected 348 separate cases of antigitanismo directed at 669 Roma men, women and children in Spain during the past two years. In presenting its “Discrimination and the Roma Community” reports for 2014 and 2015, the organisation said the the failure of government authorities to use Spain’s hate-crime legislation to effectively prosecute anti-gypsy content on the Internet has not only permitted the growth of online slurs and incitement to hatred and even extermination of Spanish gypsies, but has led to an increase in their intensity. According to the FSG, in 2014 a total of 194 anti-Roma attacks and discrimination were detected and 154 more in 2015, with 121 cases of online attacks against gypsies on the Internet accounting for more than a third of the total, followed by 53 cases of employment discrimination, 50 incidents of hate-speech in public places, 37 cases of denial of access to goods and services and 32 incidents involving mistreatment from Spanish police agencies.